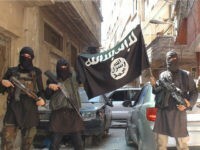 The Islamic State (ISIS/ISIL) and its rival al-Qaeda have recently published propaganda videos explicitly calling on jihadists from China’s Uighur minority who have joined the terrorist groups to attack the communist country. 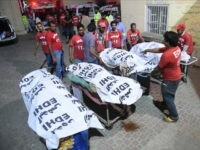 A massive suicide bombing by the Islamic State (ISIS/ISIL) on a prominent Sufi Muslim shrine in Pakistan killed up to 88 people, including women and children, and wounded more than 300 others — a rude reminder of the terrorist group’s expanding presence in the region. 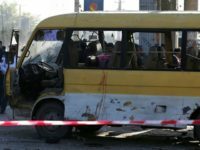 The Islamic State (ISIS/ISIL) branch in the Afghanistan-Pakistan region has taken credit for a suicide bombing outside the Supreme Court in the Afghan capital of Kabul that left at least 20 people dead and dozens of others wounded, a testament to the jihadist group’s growing influence and the dangerous threat it presents. 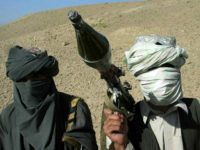 Some officials from Pakistan and state sponsor of terrorism Iran have met with Taliban jihadists in the terrorist group’s stronghold of Helmand province in southern Afghanistan, reports TOLO News, citing provincial Gov. 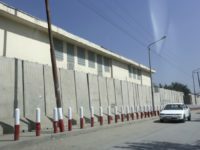 Hayatullah Hayat. 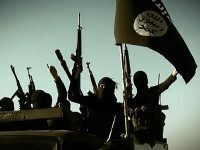 The Islamic State (ISIS/ISIL/IS) is expanding its terrorist activities and getting stronger in the Afghanistan-Pakistan region as it loses fighters and territory in the Middle East, reports Voice of America (VOA), citing Afghan officials and analysts. 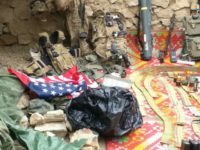 The Islamic State (ISIS/ISIL) branch in Afghanistan, known as the Khorasan Province (IS-KP/ISIL-K), has claimed responsibility for planting the Improvised Explosive Device (IED) that killed a U.S. service member, bringing the number of American military fatalities during the Afghan war to 2,241. 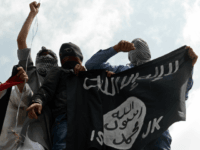 Jihadi members of the Islamic State (ISIS/ISIL) branch in Afghanistan are using civilians as shields and “dressing in female attire” to escape a counterterrorism offensive, U.S. forces in Afghanistan (USFOR-A) said in a statement. 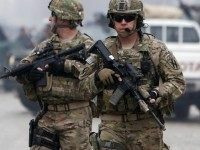 The government of Pakistan has failed to take “adequate” action against the al-Qaeda and Taliban-linked Haqqani Network, which poses the “primary threat” to the American military and its allies fighting in Afghanistan, declared a top U.S. commander. 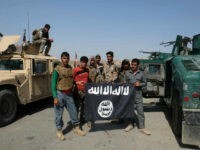 U.S. troops fighting the Islamic State alongside their Afghan counterparts in eastern Afghanistan were forced to leave behind military equipment and weapons, along with the identification cards of a fellow soldier, when they came under fire last month, according to Gen. Charles Cleveland, an American military spokesman. 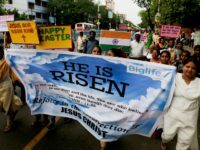 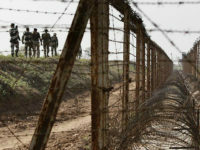 Anti-narcotics and intelligence officials from India have accused “overlapping groups” of drug smugglers, criminals, and jihadists from neighboring Pakistan of trafficking “anti-India Muslim extremists, counterfeit currency and weapons” into their country, reports the Wall Street Journal (WSJ). 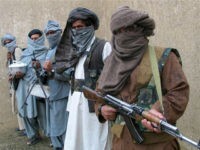 An Afghan Taliban spokesman reportedly told an Iranian state-controlled media outlet that his fellow jihadists are “committed” to the annihilation of the Islamic State (ISIS/ISIL) branch in the Afghanistan-Pakistan region known as the Khorasan Province (IS-KP/ISIL-K). 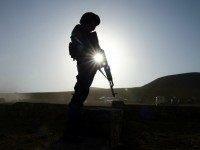 Up to five gunmen, reportedly dressed as members of the Afghan National Defense and Security Forces (ANDSF), kidnapped two professors Sunday night in the Afghan capital of Kabul — one from the United States and the other from Australia. 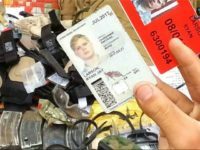 Jihadists from the Islamic State (ISIS/ISIL) branch in Afghanistan have released several photos that purport to show the identification card of a U.S. soldier, along with weapons and other military equipment confiscated from American troops in eastern Afghanistan. 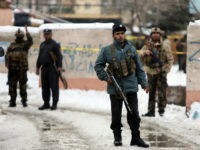 WASHINGTON, D.C. — The top U.S. commander is employing a special authority recently granted by President Barack Obama to bring in additional troops into Afghanistan for an offensive against the Islamic State in their stronghold located in the eastern part of the country along the Afghan-Pakistan border. 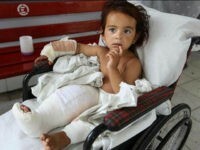 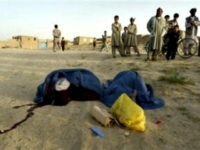 Civilian casualties in Afghanistan reached 5,166 during the first half of this year, an all-time high, with children paying a heavy toll, reports the United Nations. 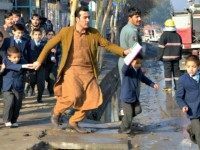 The recent attack by the Islamic State branch in Afghanistan, which has been deemed the deadliest assault in the country’s capital of Kabul since the war started nearly 15 years ago, does not prove that the jihadist group is gaining strength, claims a NATO spokesman. 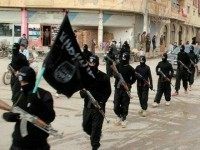 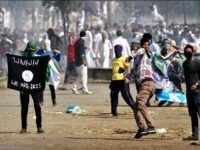 The Islamic State (ISIS/ISIL) is suspected of having set up sleeper cells inside India, the world’s second most populous nation, the Iraqi ambassador to India told The Hindu. 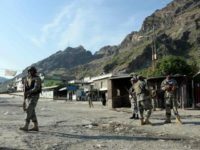 A U.S. drone strike in Afghanistan targeting the region’s Islamic State (ISIS/ISIL) branch in their stronghold of eastern Nangarhar province killed top Pakistani Taliban-linked jihadist Umar Khalifa on July 9 along with four other terrorists, according to the Pentagon and officials from Pakistan. 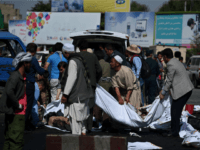 The Taliban and its rival, the Islamic State (ISIS/ISIL), have launched competing claims for a deadly terrorist attack that occurred Monday in the Afghan capital of Kabul, reports NBC News. 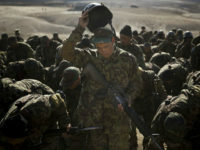 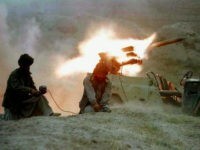 Afghan forces deployed to the Afghanistan-Pakistan border have reportedly taken heavy artillery from Pakistani troops amid intensifying clashes between the two countries that have killed at least two people and wounded nearly 25 others. 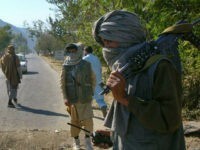 A 21-year-old Afghan was “skinned alive” by the Taliban, who also ripped out his eyes, in “retaliation” for the death of one of its former commanders allegedly at the hands of a distant relative of the victim, The Washington Post (WaPo) has learned from a local lawmaker. 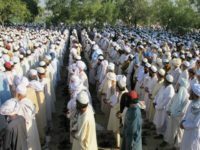 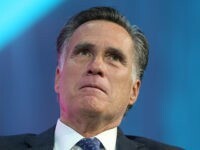 The “covert” relationship between Sunni Taliban jihadists in Afghanistan and Shiite state-sponsor of terrorism Iran has endured as a “marriage of convenience” for over a decade, primarily due to their mutual disdain towards the United States, according to various reports. 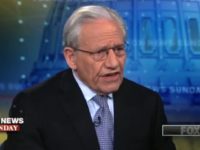 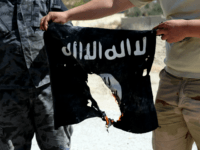 WASHINGTON, D.C. — The Khorasan province, a branch of the Islamic State (ISIS/ISIL) in the Afghanistan-Pakistan region, has declared victory over the Taliban in the most recent edition of its propaganda magazine, Dabiq. 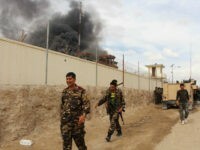 The Islamic State (ISIS/ISIL) branch in Afghanistan has claimed responsibility for a suicide attack on the Pakistani consulate in Jalalabad, the provincial capital of Nangarhar, which has become the jihadist group’s primary stronghold in the country.